Last week I purchased 3 M22 in walls and 4 QS8's to use in a media room I'm building. 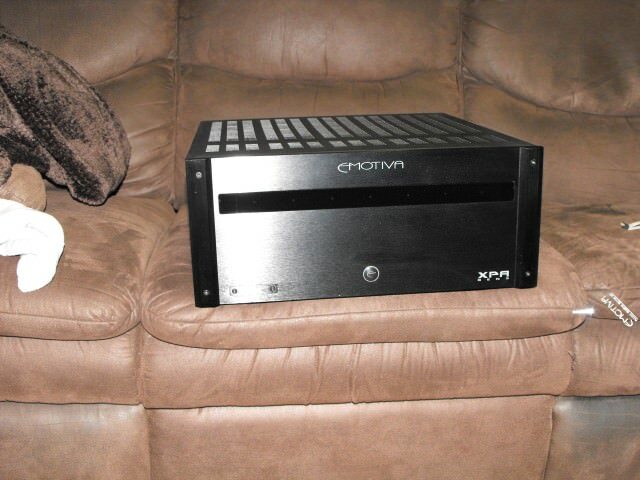 I'm looking at amps now and leaning towards the Emotiva XPA-5 and XPA-3. They are both 200w per channel. Looking at the specs I know that would be fine for the QS8's since they are rated for up to 400w, but what about the M22's? Would those amps be overkill with the M22 only rated for 200w or should it be fine? Before it's mentioned, I realize those two amps have a total of 8 channels and I only listed 7 speakers. My garage/workshop is right next to the new media room so I can use the extra channel to power a single speaker in my workshop. People do more damage to speakers by using under-powered amps that they drive into clipping. That being said, that might be more power than you really need. It all depends on what you listen to, how loud, how big is the room, whether or not you have a sub, etc., etc.. Thanks for the reply Mark. I listen to mainly hard rock / metal. Old stuff like Ozzy, AC/DC, and Metallica up to newer stuff like Disturbed, Avenged Sevenfold, and Alter Bridge, and Stone Sour. I like to listen loud too. Also, the speakers are being used for movies. That was why I went with the in-walls for LCR. They will be behind an AT projector screen. Movies are a mix, but mainly action and sci-fi. The room is 12ftx25ft with 8ft ceilings. For a sub, I hava a SVS PB-1000. Will have I should say. That was just recently ordered and awaiting arrival as well. As ian would say, you can never have too much power, or was that tim taylor I have a xpa3 and an xpa5 ,great amps they do not disappoint . I really wanted an ADA amp but the dentist had a different idea for my money. They can handle the xpa3.. I tried them on the XPA5, UPA2 and my Yaqin MC10T tube amp. I even tried them on a Behringer EP2500. You can drive them really hard. thanks guys! 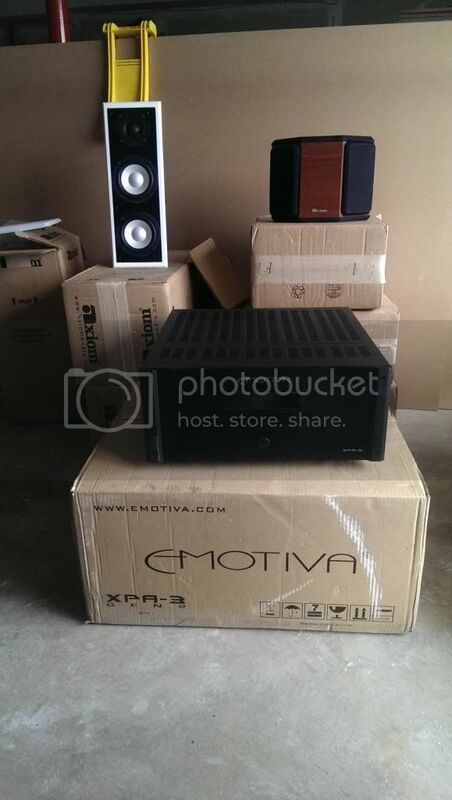 My new speakers should be delivered tomorrow and XPA3 and XPA5 being delivered beginning of next week. I can't wait! Material for my AT screen is coming near the end of next week. Framing, insulation, drywall, etc. took a long time but I'm finally starting to see the light at the end of the tunnel. Exciting and depressing at the same time. Now hurry up and get to work.